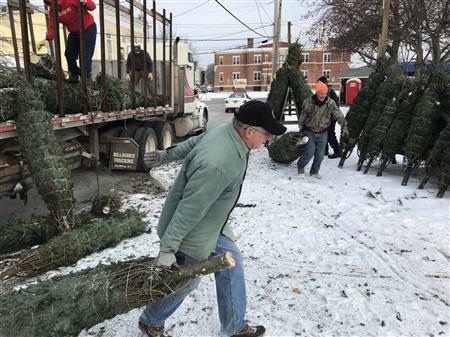 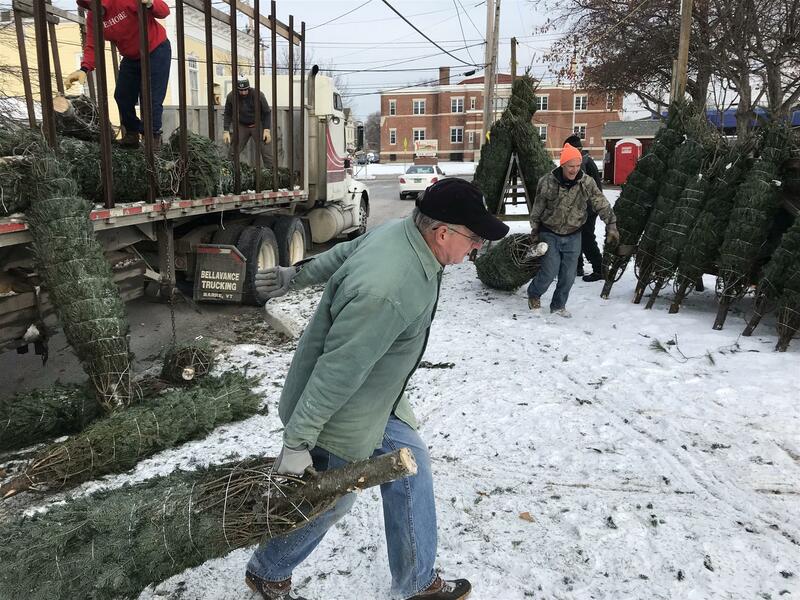 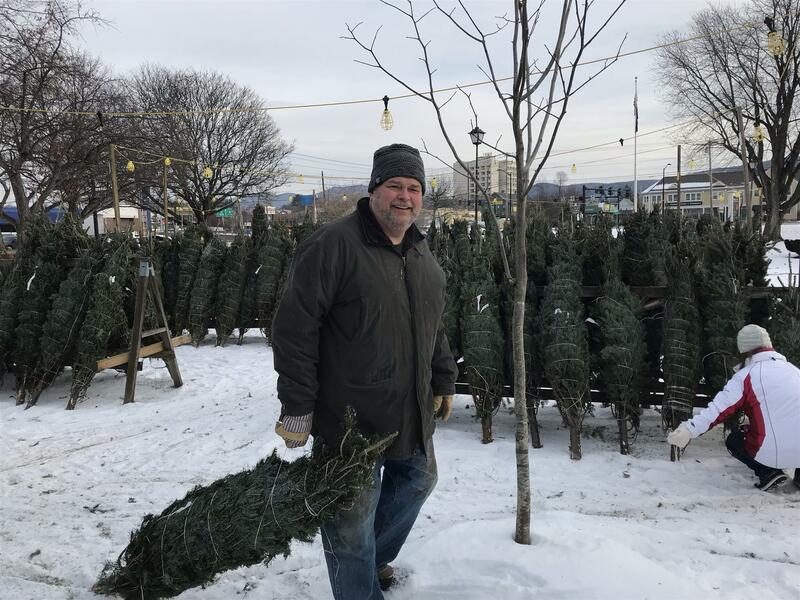 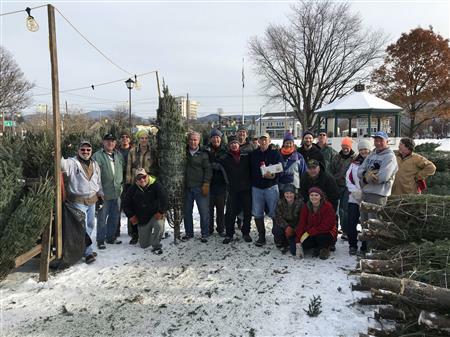 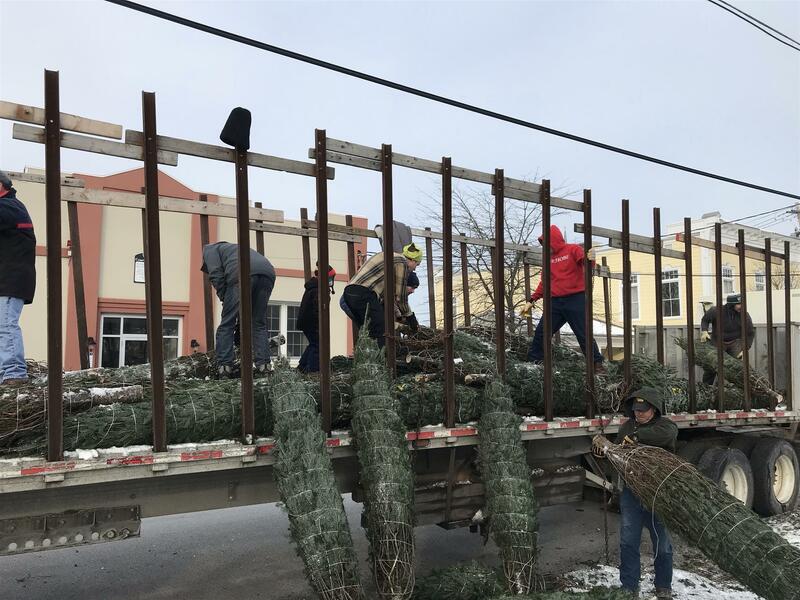 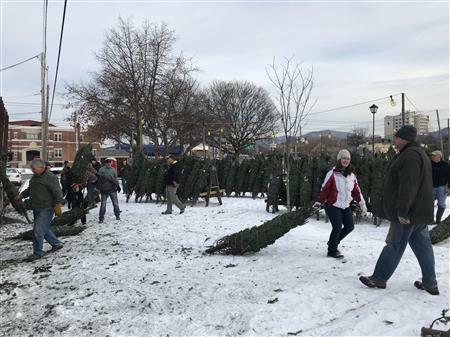 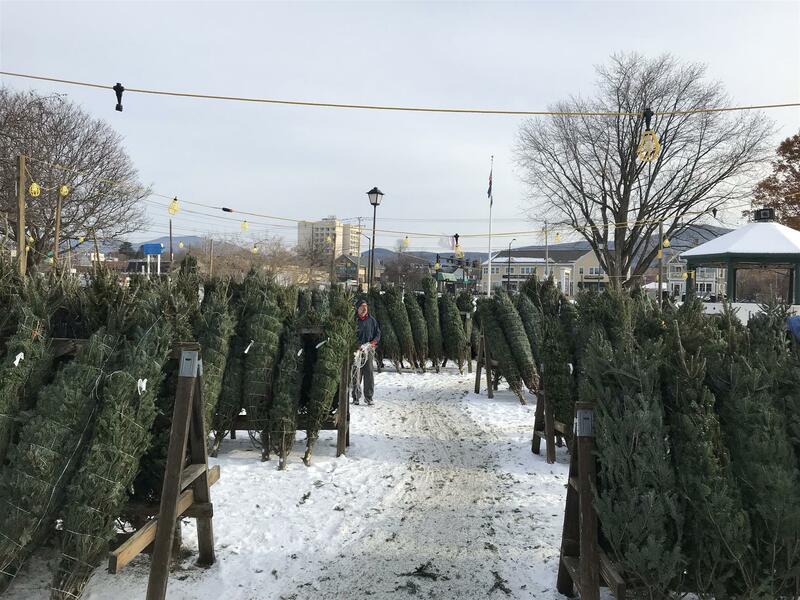 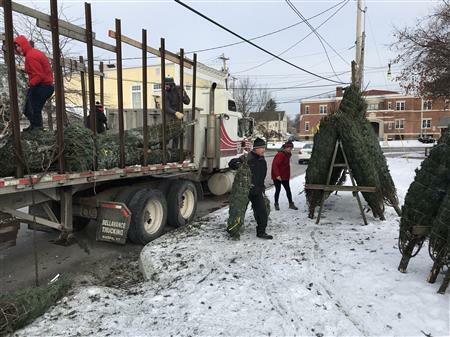 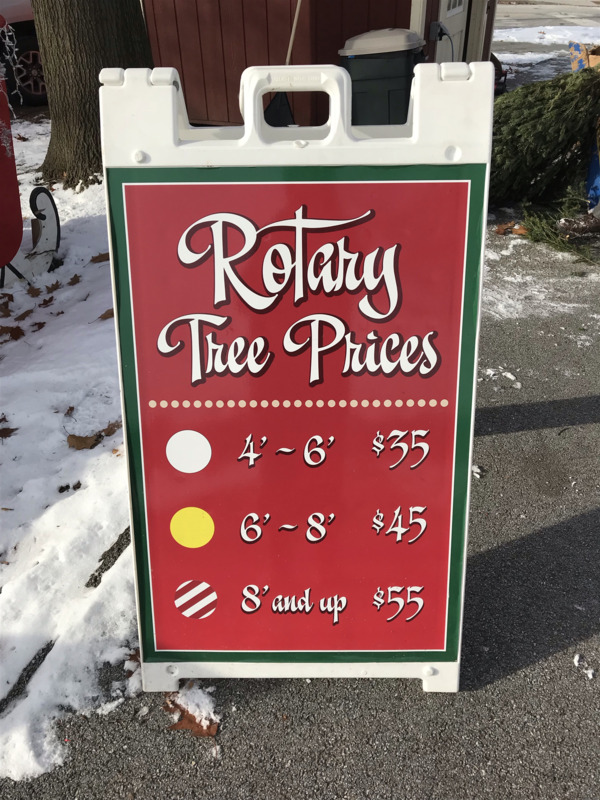 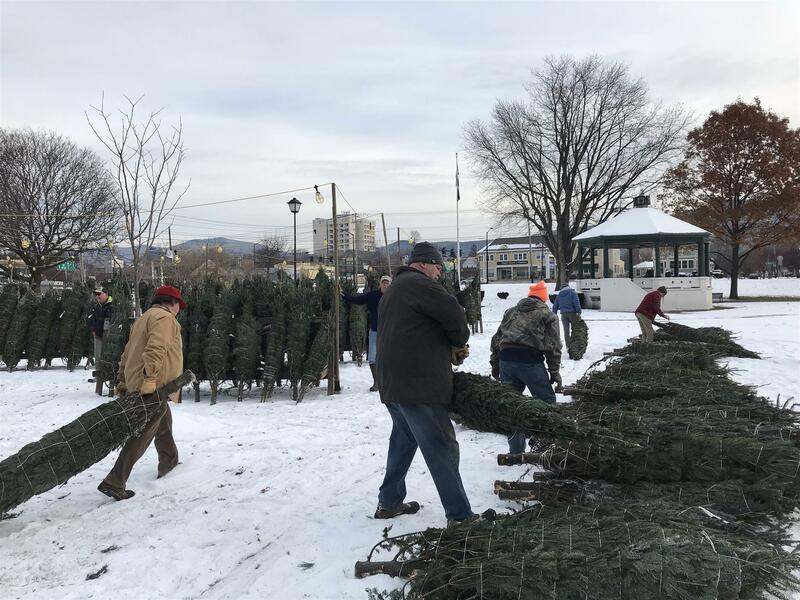 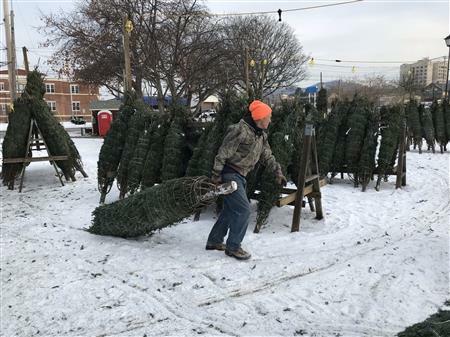 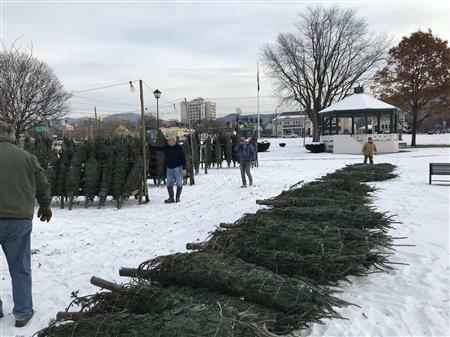 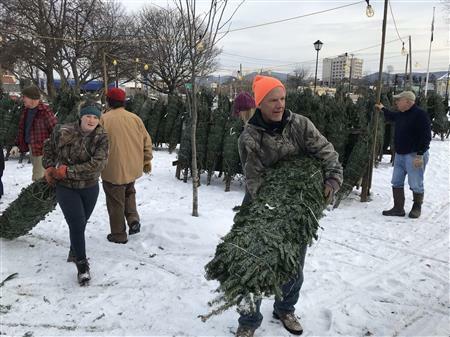 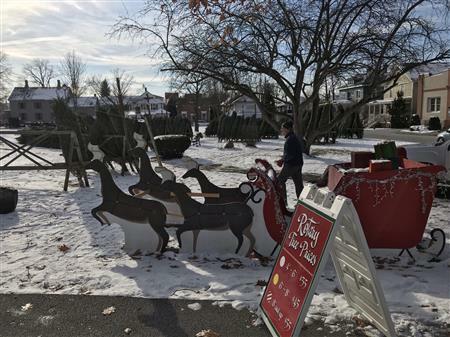 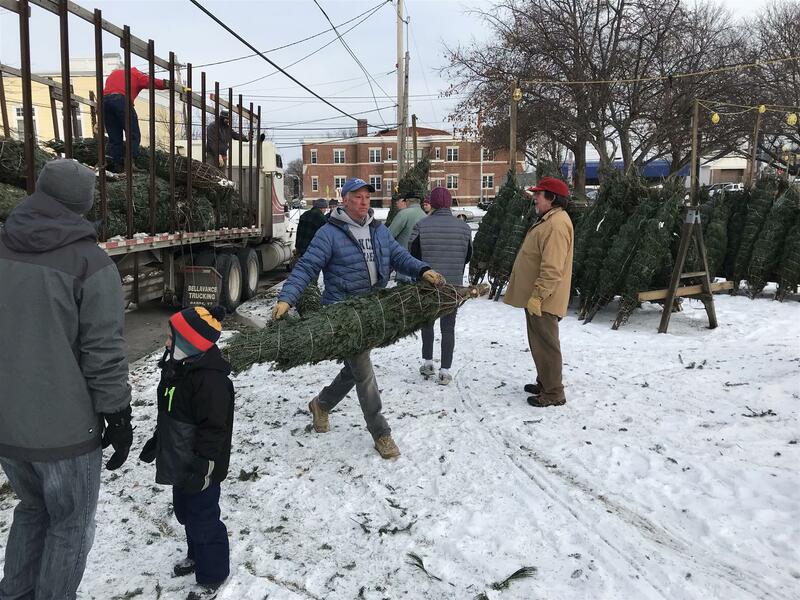 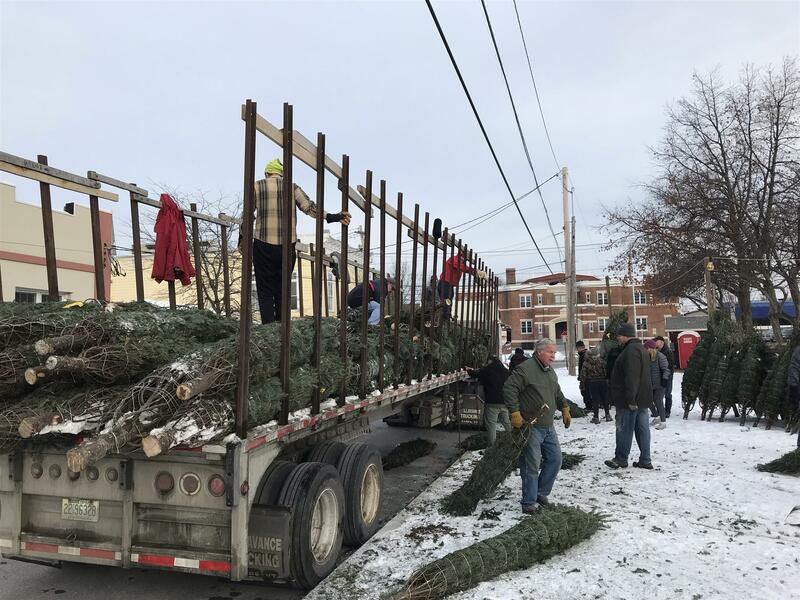 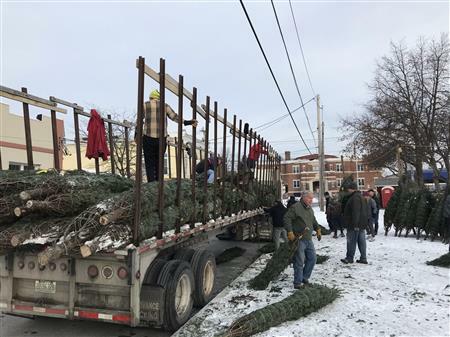 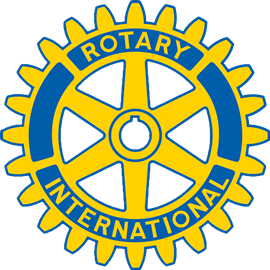 Rotary Tree Sale in Main Street Park. 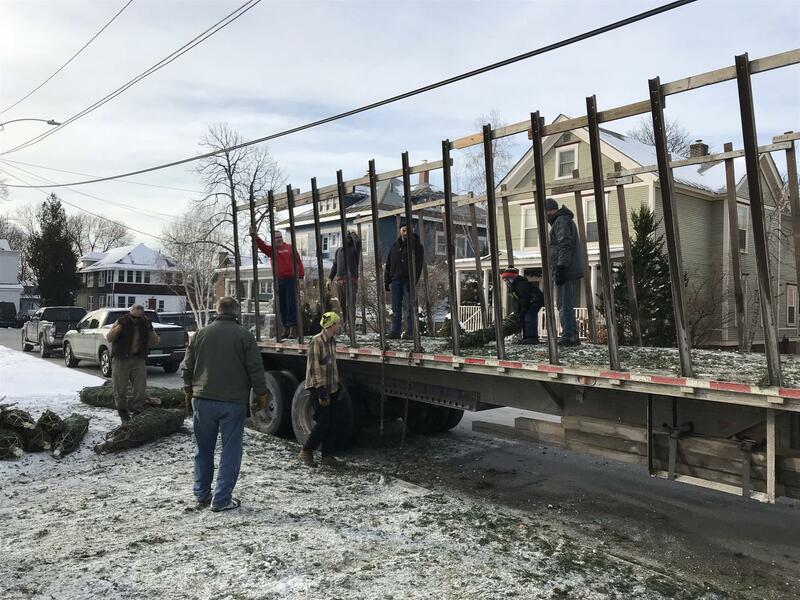 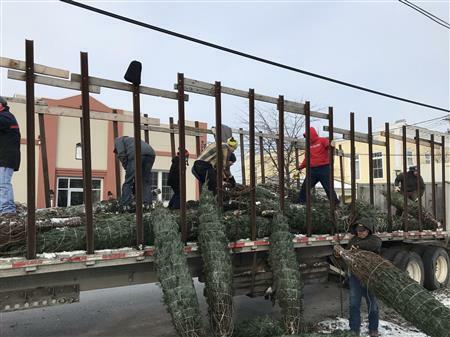 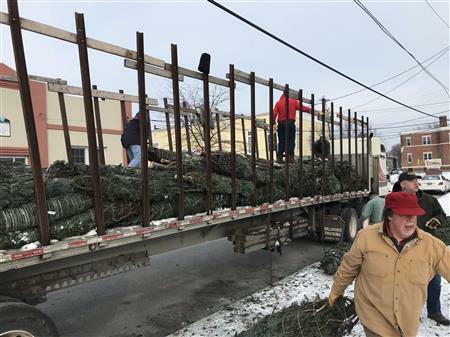 All hands on deck unloading 900 trees. 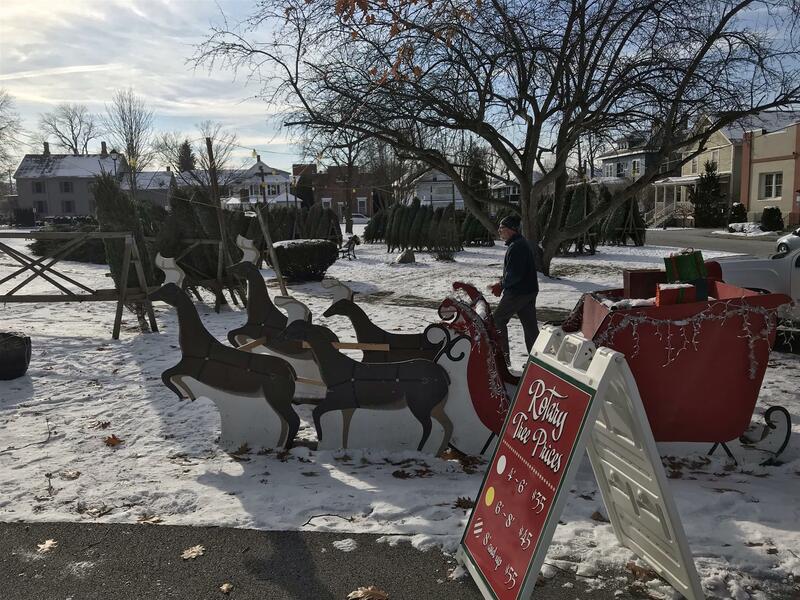 Sale hours Mon-Fri 10am-8pm, Sat & Sun 9am-8pm until all are sold. Santa Raffle Tickets on sale too.